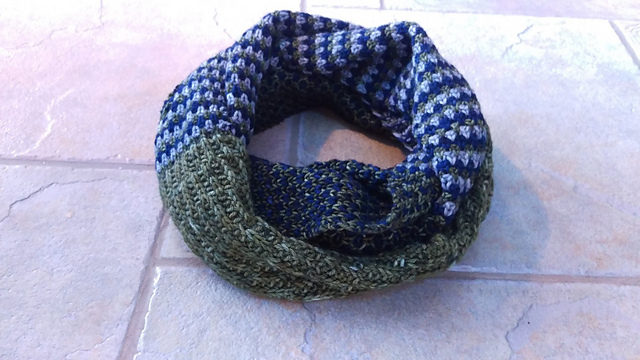 Debbie basically strong-armed me into making this post, because she said when something takes me two years to knit that there must be something to talk about. 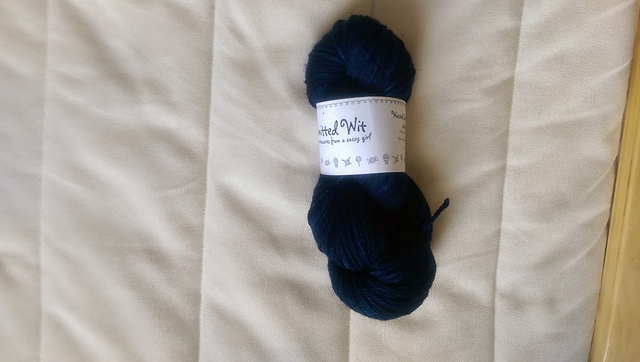 Ok so I bought the yarn for this, Knitted Wit Worsted and Victory DK, on my first yarn train in Seattle. It’s this whole deal put on the Snohomish Knitting Guild and I just kind of tag along as a way to see good friends and the beautiful cities of Seattle and Portland once a year. 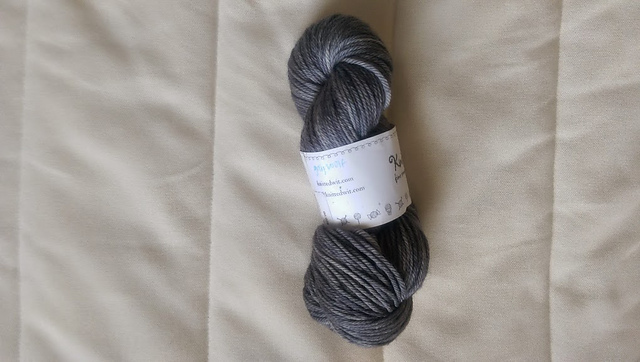 The colors are Cedar, Grey Wolf, and Prussian Blue, in worsted. 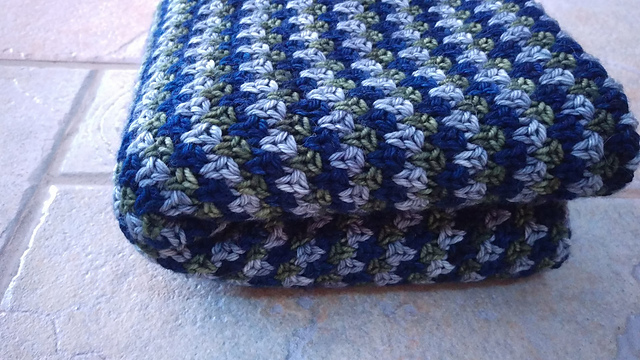 Well, I cast it on, and knit the first block and immediately ran out of yarn. 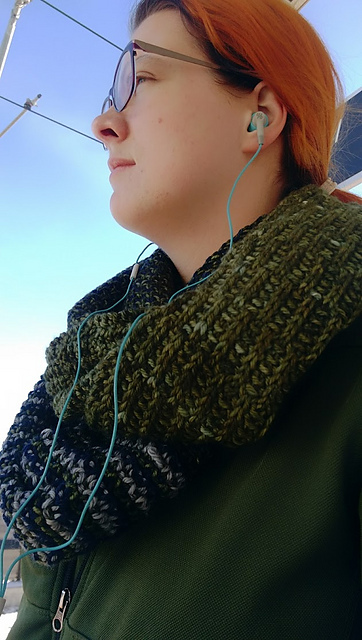 Literally the last row of Block 1 was the last full row I could have knit with the worsted in Cedar. 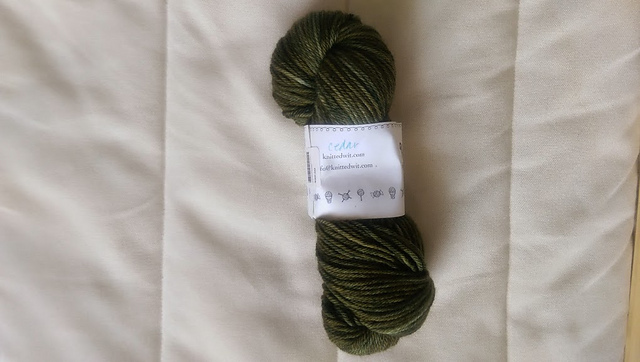 I immediately went online to buy more from Twisted, where I’d initially purchased the yarn and they didn’t have any more. So I had a mental fit and put the whole thing in time out. Then, I eventually decided to buy the Victory DK in the same colorway and just make do. 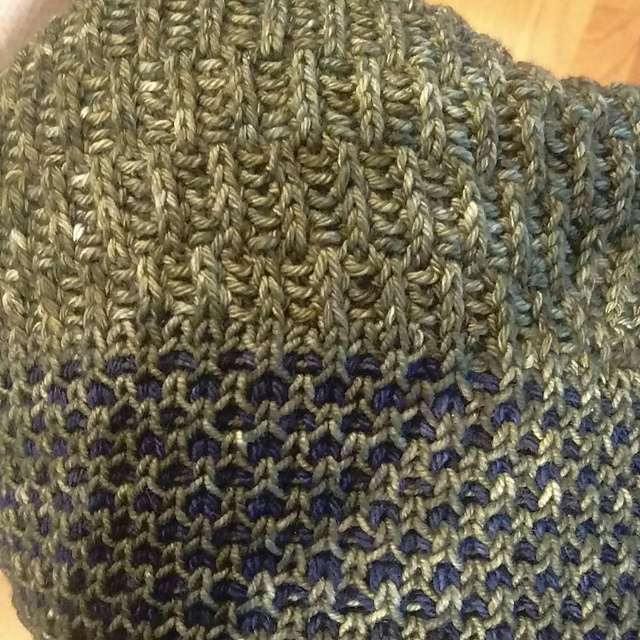 Here’s a picture of where I transitioned yarn bases, I’m actually really happy with how it turned out! What follows is a shameful tale of making progress and then making a mistake, and not being successful at either frogging or afterthought lifelines. So, I’d go and go and go, and then notice a mistake 3 rows down. So then I’d tink it. And then it would go in the naughty corner. For months. And then I’d knit and go and go and go. And then notice a mistake. Ad nauseam. Finally, when Debbie recently came to Colorado, she mama ducked me into finally finishing it. It was only possible because I love and respect her and because she was totally great at putting in afterthought lifelines. P.S. this is another one off my UFO list!